Buckingham Mysteries: A Slate River Family | slate river ramblings . . . . 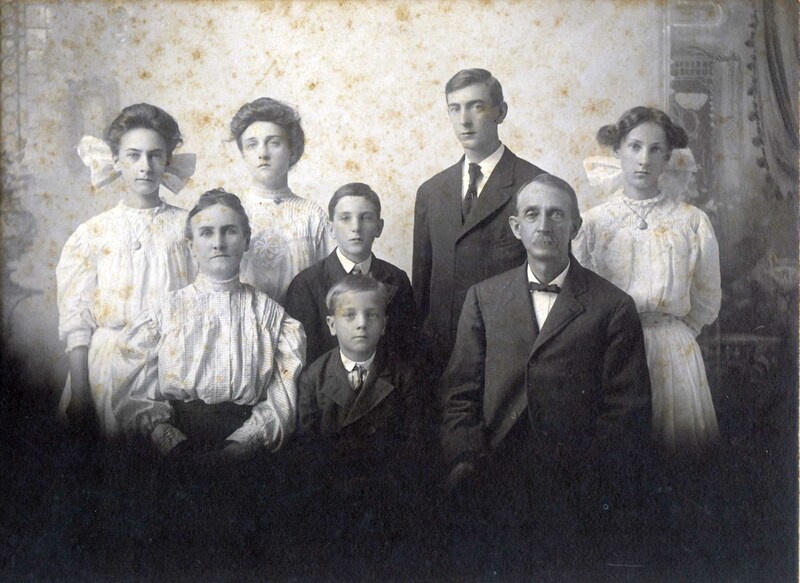 This beautiful family portrait was found in a Maxey family collection, originally stored in the Maxey homeplace off Highway 20, at Maxey Creek. Like so many photos we find in closets and attic boxes, they are unidentified. They may be Maxeys or kin to Maxeys. Perhaps, they are Agees? Or Selfs? If you recognize them, please comment. Thanks Kimberly. I agree I would date the photo about 1915. The bows are big! I don’t recognize them, but the bows that the girls have in their hair remind me VERY much of my grandmother and her sister in 1917. Same style blouses, too. I don’t know if that helps date it.